Today, Twitter announced a new look for photos on the social media site. These changes will mean a better visual experience for users and bring a number of benefits for brands too. Let’s take a look at the new changes and what they mean to marketers. Twitter has updated the timeline to now show big, beautiful photos. Photos will now be displayed as they were meant to be viewed, in full-scale, rather than cropped. They’ll also appear larger than the previously limited size. No more worries about having important features cut-off or elements hidden in the top of bottom of a photo. Multi-photo displays will also appear bigger and better looking than before. This helps to highlight more of each photo you share. In addition to bringing a better experience to the user, these changes mean good things for marketers too. No more cropping means that your images will be displayed in their full beauty. Marketers won’t have to worry about elements like logos, taglines, and other parts of their branded images being cut from view. That means less image editing. 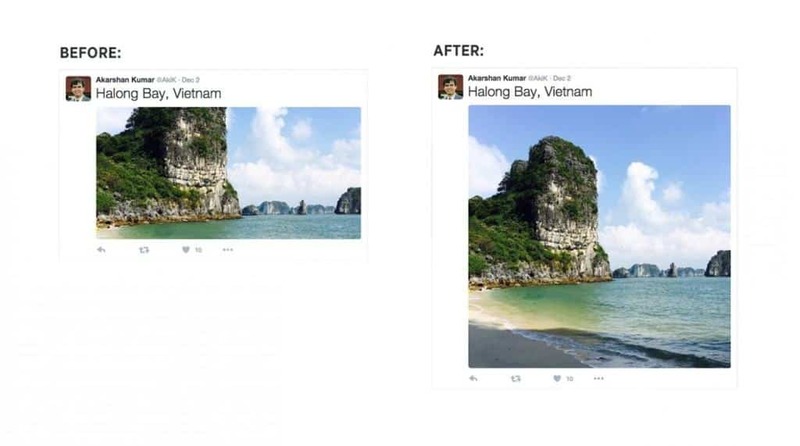 Bigger images mean more space in your viewers’ timeline. Taking up more space can help to increase the chances you get noticed and push out the other distractions. 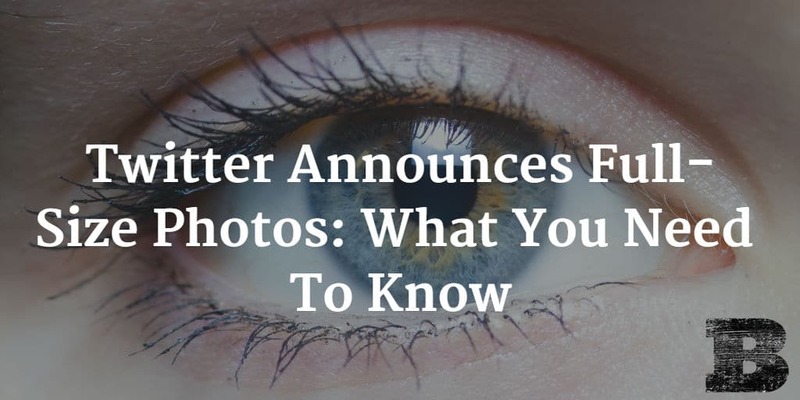 Bigger images allow us to use images that may have been too detailed to use previously, when smaller cropped previews may have prevented us from showing the viewer what we wanted them to see. These changes to the timeline should be good for marketers all around. They mean less work to keep from being cropped and increased chances of being seen. Bigger images and increased chance of being seeing doesn’t mean you should simply go posting the biggest pictures you can find in hopes of having your message seen. Marketers must still message with intent in mind. Big photos may have the ability to do a better job of drawing the viewers’ attention, but they can also distract from other elements too. A larger photo could take the attention away from your ultimate goal, such as getting your viewer to read your message and click the link. Increased attention one place means lessened attention elsewhere. Keep the desired outcome in mind when crafting content. Are you hoping for a Like, a retweet, a click? By being aware of the intention of our messaging, we can ensure it creates the desired action from our viewers. 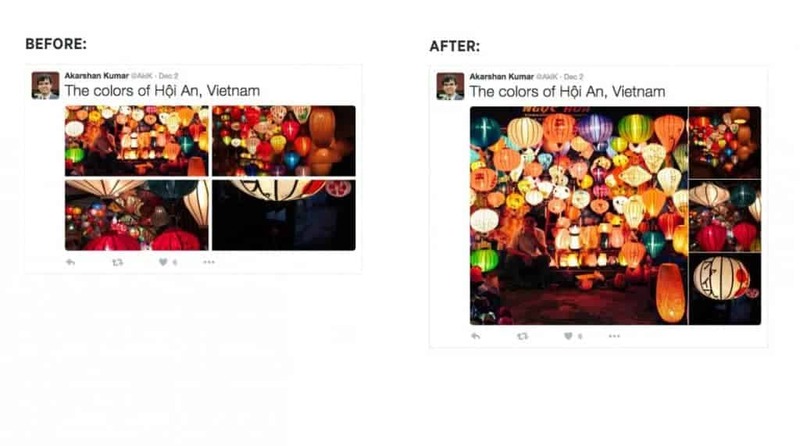 This change to showing bigger, better visuals on the Twitter timeline offers a better experience for viewers and additional advantages for brands too. We gather much of our information visually, and this update gives us more opportunity to share and see. By keeping up on the latest updates to social networks and then examining how they’ll impact our efforts, marketers can find all kinds of opportunities to gain better results. Get out there and start benefiting from bigger and better visuals on Twitter today.